There is no coffee but what we make. This Terminator T-800 Head 20 oz. 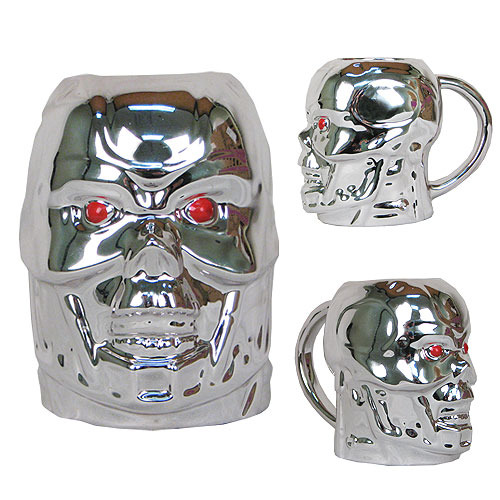 Molded Mug was expertly crafted to look just like a head from one of the killer robots from the Terminator series. Keep it around and you may be the one to bring about Skynet! This mug holds 20 ounces of liquid. Hand wash only. Not dishwasher safe. Do not microwave. Ages 14 and up.